I definitely am not the kind of girl who is against wearing nike shorts and t-shirts but it is a added bonus when the t-shirt is precious. For me, I feel so much more put together when it is cute even though my attire in reality is very casual. 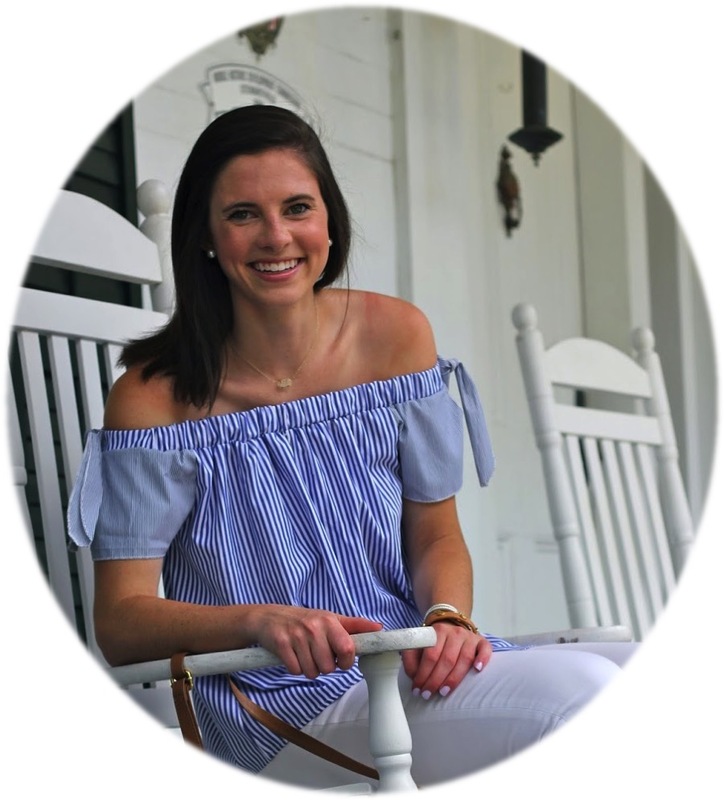 My Lilly Pocket T-Shirt from The Southern Monogram on etsy is the perfect example of me feeling more put together when wearing a casual outfit. 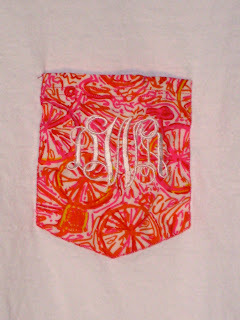 The T-Shirts the owner, Helen, sells have a seen on pocket in some really cute Lilly fabrics. The one I have is in Ten Speed with my monogram in white. I love it especially with pink shorts and my pink and yellow chacos. The first time I wore it was to my Dads triathlon in Destin and I felt so festive because it had bikes on it! I am sure other people failed to notice but that type of attention to detail isn't everyones cup of tea. And I can't talk about this precious shop without sharing some of their other inventory that I am loving. I think the monogrammed sports bras are so cute and so are the mens monogram ties! Love the monogrammed sports bra! 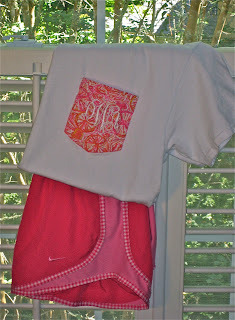 Love that fabric and the whole idea of a monogrammed t-shirt! Love the monogrammed pocket t shirts. 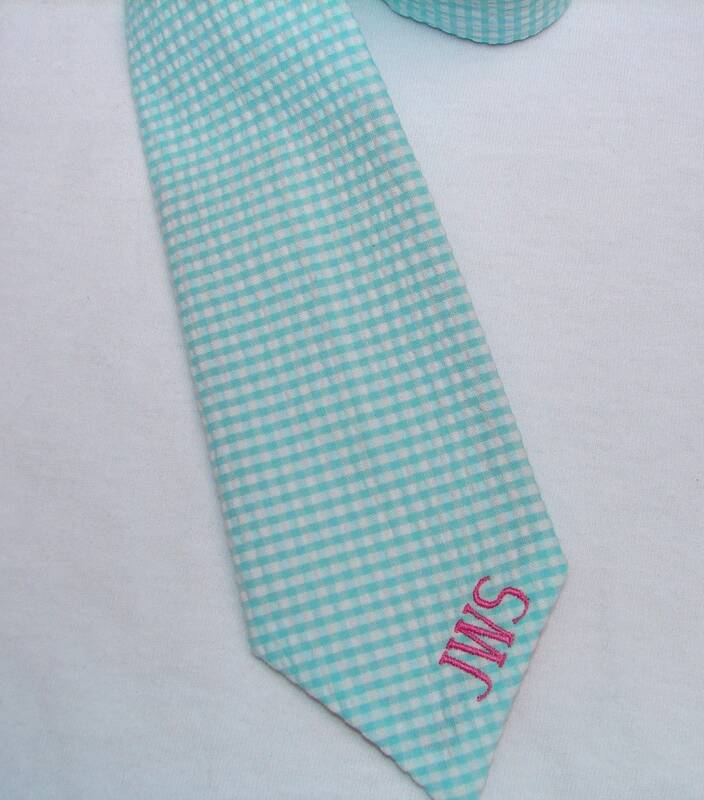 This would be the perfect preppy birthday gift! Love the monogrammed sports bra! I think I need one. Oh my gosh I want that t-shirt NOW! That shirt is precious!! I have been wearing frat collection tees and other preppy tees to Biology lab every Monday morning. It's not my style, but I find it the best way to look comfy and cute. This shirt is perfect!! I'm your newest follower by the way! Love your blog! 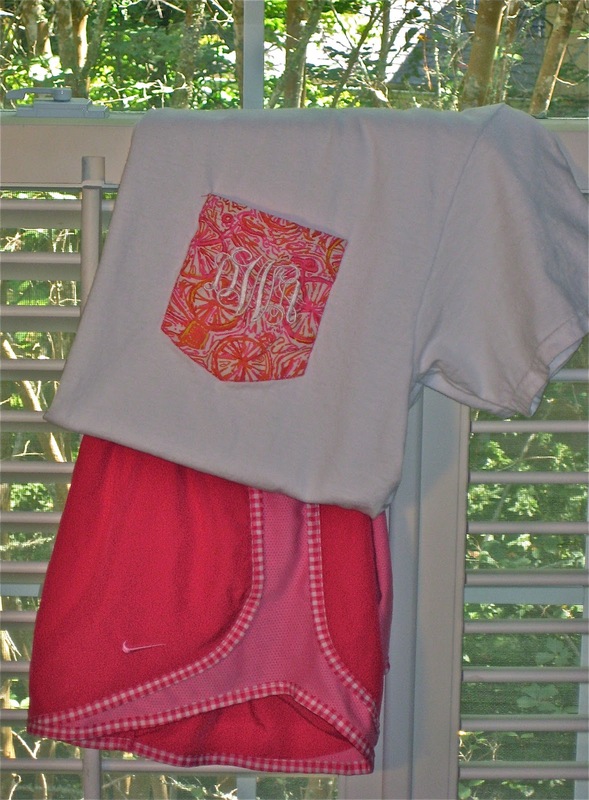 I love the monogrammed tees. So cute! I must add them to my wish list. time, it can fulfill thefulfillir responsibilities.